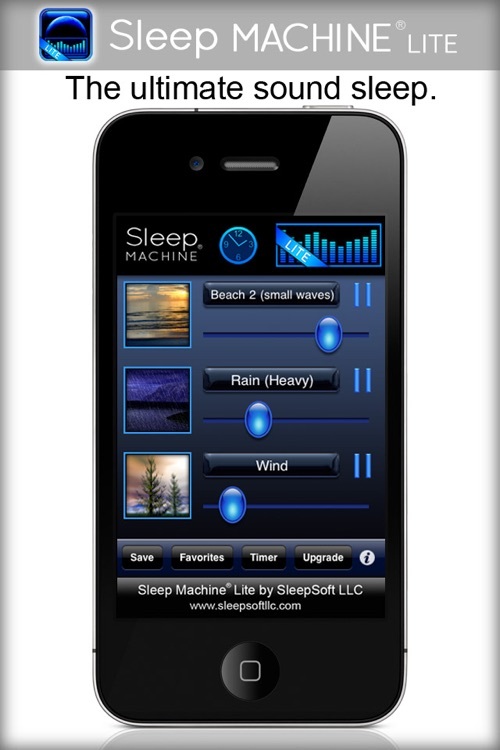 " SLEEP MACHINE IS SIMPLY THE BEST CUSTOMIZABLE, SOUND ATMOSPHERE APPLICATION AVAILABLE TODAY. " RECOMMENDED BY, CNN, BESTAPPS.COM, LIFEHACKER.COM, APPBUDDY.COM, , SMH.COM.AU, APPOLICIOUS.COM, ITUNES REWIND 2010 TOP FREE PRODUCTIVITY APP! MILLIONS OF SLEEPING CUSTOMERS WORLDWIDE ! 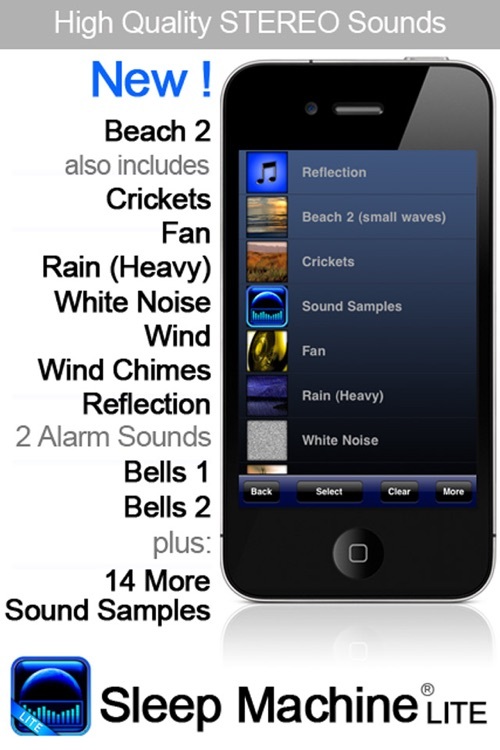 Sleep Machine is the most advanced white noise ambient sound sleep app available today ! With it's uniquely elegant multi sound player design, it's fun and easy to play, mix, and create a truly lifelike sound. Try mixing sounds like rain, beach, or wind. 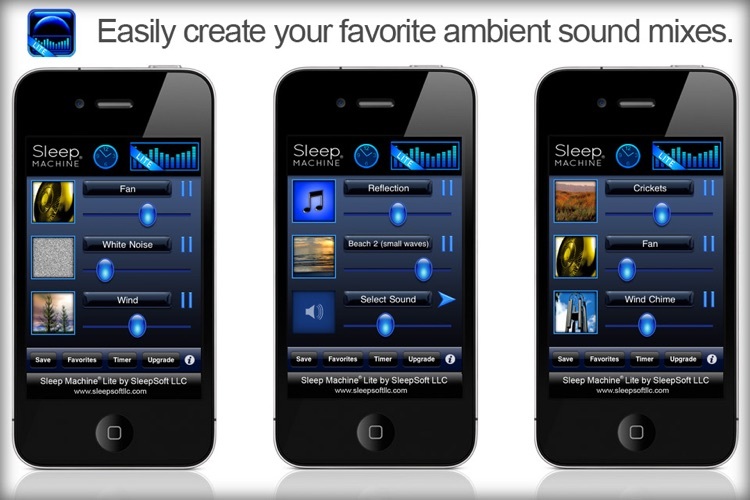 Upgrade to the full version of Sleep Machine and mix sounds with your favorite iPod music too! 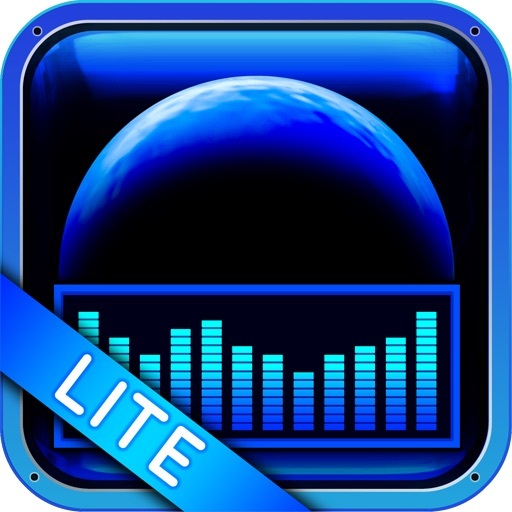 - Mix your favorite sounds together with individual volume control all on one screen! - Create and Save Favorite ambient sound mixes. - Includes a Digital Clock. Swipe up and down to adjust brightness. 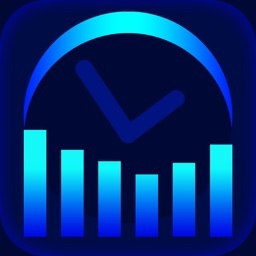 - Sleep Timer that can fade audio out so you don't awake suddenly. - Includes 7 Pre-set favorite mixes. - Easy to use help and info screens. - Works with AirPlay when enabled ! - 91 Professionally Mastered Stereo Ambient Sounds including 9 Ambient Music tracks. - Multitask with background Audio support. 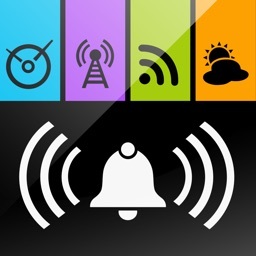 Enjoy Sleep Machine while using other apps! - Create and play an iPod Music playlist seamlessly within Sleep Machine track mixer too! - Create and Save Favorite ambient sound mixes. Up to 531,440 different sound atmospheres! - Includes 7 Digital Clocks. Swipe up and down to adjust brightness. Swipe left and right to change clock designs. 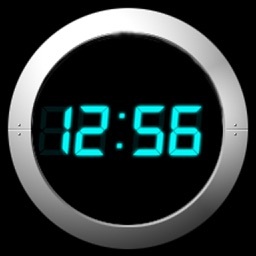 - Use Sleep Timer to stop iPod Music from your playlist too! - Full function Alarm with time options to slowly fade sound so you can wake up feeling great! - Wake up to your favorite iPod Music too! - Includes 6 Pre-set favorite mixes. • " This app…I can't even begin to explain. It's the greatest thing that has happened to my sleep in years. " • " To put it mildly this is one of the best apps ever made! The ability to mix 3 different sounds vary the volume of each is fantastic. " • " Realistic audio. I tested five other apps, this one had the most realistic audio of all the ones I tested. Many other sleep apps have audio that sounds like it was lifted from a bad sound effects CD. The audio in this app sounds like the real deal, very high quality. Easy to use, nice interface." 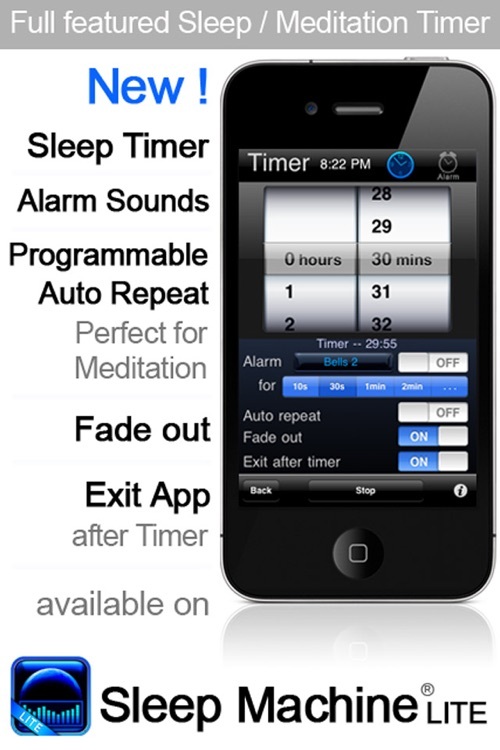 See and hear for yourself why Sleep Machine is simply the best customizable relaxation, sound atmosphere, and alarm clock application available for your iPhone or iPod Touch. 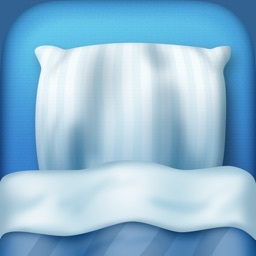 Try Sleep Machine 3.1 TODAY.